Many are aware that Florida passed an amendment to the Florida constitution permitting the use of medical marijuana. The relationship between doctors and patients and law enforcement has been the focus, but little time or attention has been given to the question of how the new laws will affect employers, and how accessible cannabis will actually be. 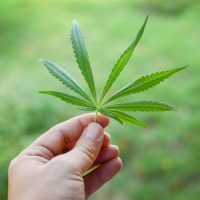 Many employers may have concerns about employees using legally acquired marijuana in the workplace, and whether they are compelled to allow employees to do so. The medical marijuana law’s authors wrote that the intent of the law was not to legalize the use of marijuana in public, nor in schools, or correctional institutions. Importantly, the law’s intent also stated that it did not require that employers allow employees to use marijuana in the workplace. Many employers do understand their obligation to provide reasonable accommodations to employees with disabilities. An employer generally can‘t prevent an employee from taking a needed medication. If marijuana is legal, and medically prescribed, and needed to allow an employee to do his or her job, must the employer allow the employee to use marijuana on the job, as part of the reasonable accommodation required by the Americans With Disabilities Act? In other cases, the answer has generally been no. The reason is that although marijuana is legal in certain states including Florida, it still is technically illegal under federal laws, even though the federal government has thus far opted not to enforce those laws in states that have voted to legalize marijuana. The ADA is a federal law. Thus, courts have held that an accommodation that is illegal under federal law can’t be required under another federal law. People think that with the passage of the law, that medical marijuana will be unfettered by any restrictions at all. But the state still has the power to regulate how and when marijuana is prescribed and dispensed, and of course, still holds regulatory power over the physicians that practice in the state. Thus, doctors who are seeking to prescribe the medicine may still face certain hurdles in getting it to their patients. For example, because marijuana is illegal under federal law, doctors can’t prescribe it directly. Rather, physicians submit names to a state registry. The Board of Medicine will then decide who gets to use cannabis. There are also attempts to limit marijuana use to certain, pre-defined, “debilitating” conditions, not just for any medical use. Thus, there are still questions as to how accessible marijuana use may be. Make sure you have help navigating the difficult waters of regulation, and make sure your business is in compliance with state and national laws. Contact Tampa business attorney David Toback to discuss protecting your business making sure it’s operating in compliance.